Organizers have released the payout schedule! Well, Mother Nature has sent some serious winds our way to slow the start of the Fall Brawl. After a weekend of storms and gale force winds, things are settling a bit. Muddy waters near shore will keep the catches down, but the fish are there. Shore anglers are catching a few off the banks from East 72nd in Cleveland to Huron and a few fish are being weighed in! Hopefully, schedules will allow a trip out later this week and I hope to do some shore casting before the weekend. Now, there was a much-anticipated announcement concerning the 2018 Fall Brawl: Organizers released the payout schedule! While financial motivation isn’t the main reason I take part in this event, it does leave something to aim for. This year, I will be aiming HIGH! (along with nearly 7000 other anglers). The top prize of a fully loaded, brand new Warrior walleye boat worth $100,000 would make ANY walleye guy or gal proud, but the second through 5th prizes are nothing to shake a stick at. Second place is a cool $44.,000, third = $33,000, fourth place is $22,000 and fifth, $11,000. Not bad for catching one big fish. There are also “bonuses” paid by many Fall Brawl sponsors to anglers who make their catch using their products. The City of Lorain even added a $1000 bounty if the winning fish is caught offshore of Lorain County waters. It would be a wonderful thing if more Lake Erie counties matched the bounty. Events like this bring hundreds of thousands of dollars to local communities in the form of motel room, gas, food, ice, etc. For me, the motivation to fish this event is definitely not about the money. 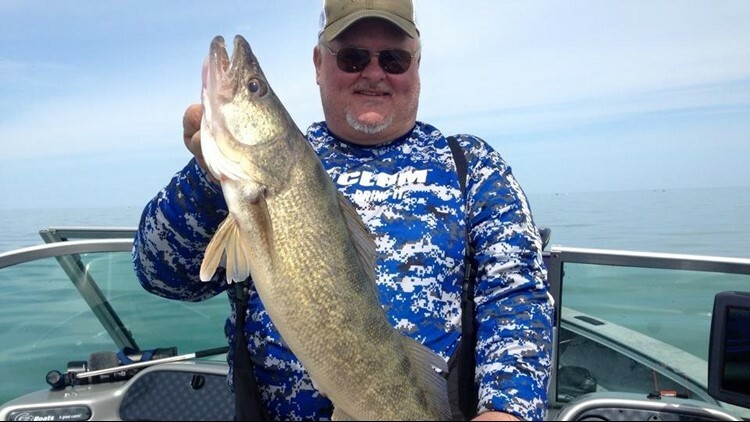 It would be nice to get that reward, but the experiences I have fishing with great people, enjoying the challenge of figuring out the big fish bite, seeing first-hand the bounty Lake Erie provides, and the memories it makes. So many stories… Can’t make those memories sitting on the couch. Man, I need to go fishing.